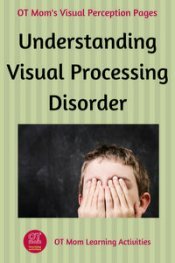 Visual closure is the ability to correctly perceive an object or word, even when it is partly hidden. This ability helps you to quickly make sense of what you see, even if it is not all visible to you, which means you do not have to see every little detail in order to recognize something. 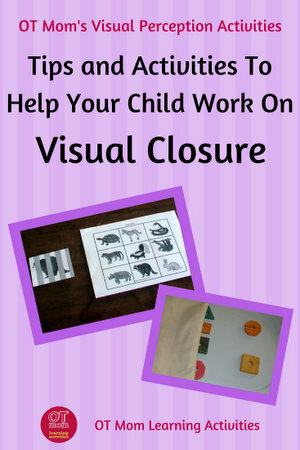 A true visual based closure activity should be done completely visually, without drawing to complete a picture. This requires the brain to correctly perceive what the completed picture/word would look like, without using motor skills. 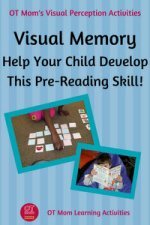 Use the simple activities below to help develop your child's skills! Show your child a variety of small toys (I used toy animals for the photos) and make sure your child knows all the names. Partially hide 2 or 3 toys under a cloth without your child seeing, then ask your child to identify them. After making sure your child knows the names of the different shapes, partially hide a few shapes under the cloth and ask your child to name them, or to decide which one fits in each shape-sorter hole (as shown). In this activity, I partially covered 4 shapes, and placed 2 whole shapes on the side. I then asked my child to decide which partially covered shape would match the uncovered ones. 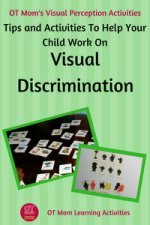 This activity uses some visual discrimination skills as well. 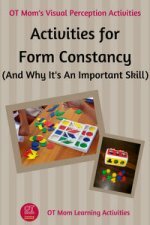 You can also make use of simple form puzzles. Partly cover the puzzle pieces, and ask your child to identify which piece would fit into each hole. 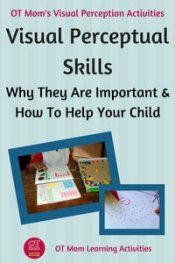 For older kids, there are a few worksheets and e-books on the market that are useful. The most important thing to check is that they require visual recognition, and should not merely require pencil work to fill in missing lines! 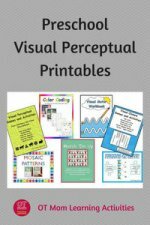 Here are pics of some of the fun activities in this downloadable e-book Visual Closure Games and Activities. 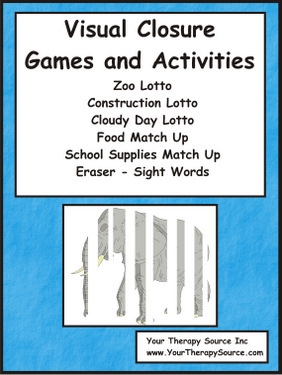 Some of the activities are worksheet style, while others are Lotto style. They are mostly suitable for preschool and kindergarten children, depending on the ability of the child. 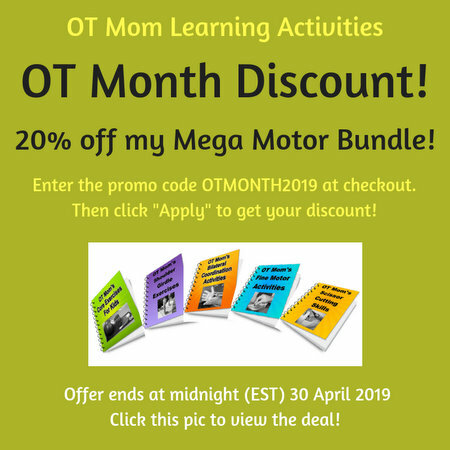 If you found these activities helpful, perhaps these pages on my site will also be useful!